Pacifist, Christian Non-Resistence, Non-Violence, Christian Anarchist, Social Justice, Vegetarian. 4. What Is to Be Done? 6. A Letter to a Hindu etc. this Essey was written as a response to Tarak Nath Das, a Bengali-Indian Freedom seeker, who was seeking support for Independence of India from British colonial power. Tolstoy wrote that only through the principle of love could the Indian people free themselves from colonial British rule. Tolstoy saw the law of love espoused in all the world's religions, and he argued that the individual, nonviolent application of the law of love in the form of protests, strikes, and other forms of peaceful resistance were the only alternative to violent revolution. The letter was first published in the Indian newspaper Free Hindustan. Russian writer Leo Nikolaevich Tolstoy was born on his family’s estate of Yasnaia Poliana (Bright Meadow), in Tula Province. His parents, both from the high aristocracy, died in his early boyhood. Tolstoy was a melancholy child, self-centred but filled with the desire to be a better person. He entered the University of Kazan in 1844, planning to become a diplomat, but left the university in 1847 without taking a degree. In 1849 he opened a school for the village children and was one of its teachers. At this time, as later, he was strongly under the influence of Rousseau. Tolstoy volunteered in 1851 for army service in the Caucasus, and he subsequently took part in the Crimean War (1854–1856) in the Danube region and at Sevastopol. He left the army in 1856 and returned to Yasnaia Poliana. By the following year he had published a semi-autobiographical trilogy on his childhood and youth and a group of short stories on the war in the Caucasus and at Sevastopol. These works soon brought him fame. Tolstoy made the first of two trips to Western Europe in 1857 and was repelled by the absence of spiritual values and the materialism he found there. In Paris he witnessed a public execution and from it concluded that all governments were immoral. During his second trip abroad in 1860 his favourite brother, Nikolai, who had tuberculosis, died in Tolstoy’s arms. The next year Tolstoy returned to Russia and resumed teaching at the Yasnaia Poliana school. In 1862 Tolstoy married Sofia Andreevna Bers, 18 years old. They had 13 children, of whom 5 died. The first decade of his marriage was the happiest time of his life. During this period he wrote War and Peace (1863– 1869). At the age of 19 he wrote out rules of behaviour for himself that were close to the precepts of his later Christianity. In 1855 he wanted to found a new religion, free of dogma and mysticism. Happiness would be achieved not in heaven but on earth, by following the voice of one’s conscience. His letters from the 1850s on, and his literary works from Childhood (1852) to Anna Karenina (1873–1877), reflect the development of his ideas. Beginning in the early 1870s, Tolstoy engaged in a moral and religious quest that was to continue until the end of his life. He had begun reading Schopenhauer in 1867 and was influenced by Schopenhauer’s negative view of life. In the fall of 1869, while on a trip to buy land, he stopped at the provincial town of Arzamas, staying overnight at an inn. There, in the middle of the night, he had a terrifying vision of death. From this time on, Tolstoy was obsessed with thoughts of his own death—although earlier works, like Three Deaths (1859), were witness that the problem of death had been on his mind for years. It was this obsession that led to his search for a viable religious faith, one that would make life worth living and would reconcile him to the bitter fact that he too must die. It is mirrored in the seeking of Levin, the novel’s hero, and is akin to the spiritual quest that had occupied Pierre Bezukhov, the hero of War and Peace. But whereas War and Peace had ended in optimism, in Anna Karenina a dark force seems to take over. This power is Schopenhauer’s blind force of will, the same force that destroys Anna. Levin thinks that suicide is the only possible escape from his situation. In a Confession, which he wrote from 1879 to 1882, Tolstoy described his own crisis. Reason and the sciences gave him no answer to his questions, which marriage and family life had stifled only temporarily. He read extensively, but the thinkers he studied—Socrates, Solomon, Buddha, Schopenhauer—all concluded that life was an evil and that the greatest good was to free oneself of one’s existence. Tolstoy then turned to the peasants. He saw that their simple faith in God gave their life meaning. They did not fear death, which they regarded as the natural outcome of life. Tolstoy concluded that the answer was simply to believe, without reasoning. Belief in God and in the possibility of moral perfection made life meaningful. The peasants’ faith, however, was bound up with Orthodox ritual and dogma, which Tolstoy could not accept. He ended A Confession promising to study the scriptures and the church’s doctrines in order to separate the truth in them from falsehood. Miracles, including the resurrection, were discarded. Tolstoy’s version presented the tenets of Christianity as he saw them. He said that this book was the most important thing he had written. 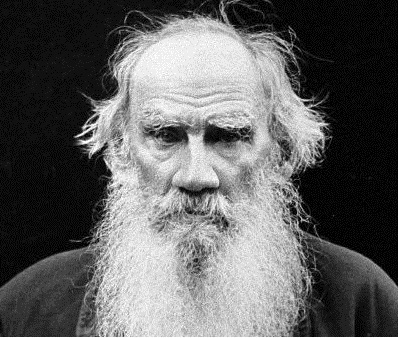 In it, Tolstoy examined the church’s doctrines and said they were distortions of the true teachings of Christ, who had wanted only love, humility, and forgiveness. (5) love all persons without distinction. Observance of these rules would transform life on earth by putting an end to courts of law, governments, and wars between nations. Tolstoy’s other religious and moralistic works, such as On Life (1887) and The Kingdom of God Is within You (1892–1893), contained essentially the same ideas as the earlier ones. All of these books, including A Confession, were banned by the censor, but they circulated in underground editions or were published abroad and smuggled into Russia. Tolstoy’s new religion was essentially a system of personal ethics, the same rules he had been trying to live by since boyhood. The church, he said, had obscured true Christianity with ritual, miracles, and symbols. It tried to keep from people the true Christ, a man and not a divine being, who wanted to unite men in peace and make them happy. Tolstoy’s Christianity was based primarily on the Sermon on the Mount, and especially on Christ’s principle of turning the other cheek (Mt. 5:38–42). God had placed the light of conscience within each person. By heeding their inner voice, people would act with simple truthfulness and love and would achieve happiness. The only way to combat evil was by a constant effort at self-perfection, not by opposing the evil of others with force. If each person does good whenever possible, evil will die of itself. Non-resistance to evil became Tolstoy’s main tenet. Never believing in personal immortality, Tolstoy was not able to accept death’s physical finality and the thought of his own physical annihilation. Efforts to include death in his vision of harmony on earth by viewing it as a peaceful merging with nature warred with flashes of nihilism. Only in his last years did he make his peace with death. After his conversion Tolstoy condemned his own pre-1878 fiction, saying that it contained morally bad feelings. He resumed writing literary works in the mid-1880s, but they had changed. He now used a bare, plain style that would be accessible to every reader. 2. and longer stories for the educated reader, such as The Death of Ivan Ilich (1886), Kreutzer Sonata (1889), The Devil (1889), and Father Sergii (1890–1891). He still had all his literary force, but the joy in life that had animated his earlier fiction was gone; the longer stories are dominated by gloomy, strong passions. Most of them express a hatred of the flesh, the source of life and of death. It depicts the moral regeneration of Nekhliudov, a nobleman whose early debauchery had ruined the life of a young servant girl. Because of the heretical passages in Resurrection and his attacks on the church and state, the Holy Synod excommunicated Tolstoy in 1901. On the day the decree was announced, a cheering crowd of supporters gathered around his house. By the 1880s Tolstoy had numerous disciples in Russia and abroad, many of them misfits or half-mad. One of his followers, Vladimir Chertkov, gained increasing influence over him. Tolstoy’s disciples regarded him as a living saint, and Yasnaia Poliana became a goal of pilgrimages. Groups of Tolstoyans formed who tried to live by his ideas. All these groups eventually fell apart. He corresponded with Mohandas K. Gandhi, and Gandhi’s doctrine of satya-graha was an adaptation of Tolstoy’s non-resistance to evil. Friction between her and Chertkov made Tolstoy’s life at home unbearable and led to his flight from Yasnaia Poliana in late October of 1910. He had long wanted to live quietly in solitude. On the train journey he fell ill and was taken to the stationmaster’s house at Astapovo, where he died on November 7. While Tolstoy’s religious writings are peripheral to his literary achievements, his art is unimaginable without the moral and religious vision that informs it. as artist and seeker he has continued, generation after generation, to attract passionate adherents, and Yasnaia Poliana remains a focus of pilgrimages from all over the world. As a boy, Tolstoy searched in the bushes at Yasnaia Poliana for this stick. According to his wish, Tolstoy was buried at the place where he thought the green stick was hidden.